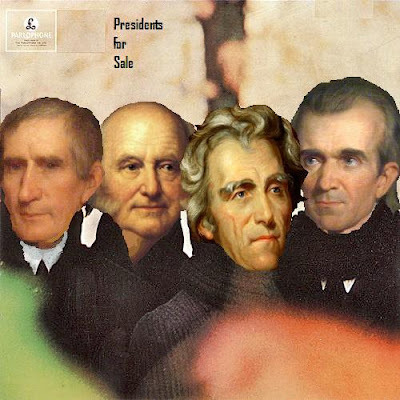 I've decided to capitalize on the Andrew Jackson tragedy. This is one of the possible tribute album covers. More to come! Bwahahaha, this is just the best! There are more TK. I'm thinking every Saturday for a while, we'll have a new album cover. And then we can vote! I'd vote for Carter, but I keep forgetting he's not dead. Go Carter, outlive those damn Republicans.